…having dipped my toe in the bubbling waters of Writer-dom, the rest of my leg has suddenly been tugged under as well… I’m uncertain as to whether it’s a pleasurable, continuing excitement or p’raps the start of a niggle of fear… being the new social-media-challenged kid on the block here, I’ve been scratching around at other people’s blogs and stuff… none of your rummaging in dustbins or sneaky industrial espionage, you understand, just a peek at this fella and that gal, just trying to figure out really how it all works… results of that research, you’ll not be surprised to learn, is that I’m mostly none the wiser… I think I may have the equivalent of a black belt in ignorance… however, people who have had to suffer me in the past will tell you that being ignorant of matters has never deterred me from lunging right ahead a la Bull in the China Shop…so, if you hear the metaphorical tinkling of disintegrating porcelain, send me the bill… but here’s the thing… it seems (whisper it if you must) that there’s a growing swell of opinion that ‘going the self-publishing route’ may be casting off its former stigma… shudder the thought, it might even start to become fashionable… what is clear to this neophyte at any rate, is that droves of hitherto unpublished authors now rejoice in the fact that their name is attached to the ‘published’ label… it may be that Uncle Fred and Auntie Mabel are the two sole purchasers of the masterpiece that’s taken blood, sweat, tears, and not a little psychiatric counselling to tease out, but their baby is breathing somewhere in the ether world of Kindle et al… of course, it doesn’t really matter to me if anyone downloads my book or not (who the hell am I trying to kid!!) …another flash of the blindingly obvious is that having tasted that sweet, sweet ambrosia, the hypnosis of seeing my own name on Auntie Amazon Kindle best seller lists, my approach to this whole adventure is radically changing… as sure as eggs is eggs, I’m becoming resigned to the fact that I’m now destined to spend the rest of my life trying to catch up and understand even a smidgeon of how this all works… in the meantime, my minders here at the writing asylum would like you to know that I can be visited at weekends and other days with a ‘y’ in them… bring ice cream, lots of ice cream… I’ll report back soon… see yeez later… LUV YEEZ! And we readers have all been the very happy beneficiaries of your blog posts ever since! Keep writing, kind sir, and we will keep reading! Wow! Congratulations! I hope to keep reading many more years, Seumas! LOL! No matter what you may have thought at the time, this post shows that you’re a “natural.” In fact, in this post you set the bar so high, I don’t know how any of us could clear it. Since then, you’ve leapt into the stratosphere of blogdom (normally visible only from Mount Palomar Observatory), so please keep transmitting on this wavelength, because we need the light your star sheds on this part of the Parallel Universe. 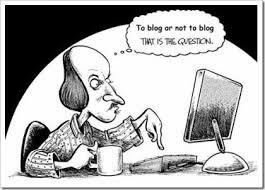 So, you have been at this blogging thing for 6 years and written 1700 posts? Wow!! That’s impressive! That’s 283.3 posts per year! Or 5.44 posts a week. Again – Wow! And every post I have ad the pleasure of reading is a joy!!! Huge congratulations – that’s a lot of posts, Seumas… And even more congratulations about hitting the best-seller lists! Whilst acknowledging your undoubted prowess in the fields of literary art and blogging Mr Gallacher, there is one point on which I must regrettably bring you to task. What flavour ice-cream? 😀 Mwaah.